The history of tea in India dates back to early 19th century when the British army noticed a popular drink among the Singpo tribals of Assam. The drink was made from a wild bush that was later discovered as tea plants. The world's first tea company was formed in 1839 in Kolkota with Dwarakanath Tagore, grandfather of Nobel Laureate Rabindranath Tagore as one of it's directors. 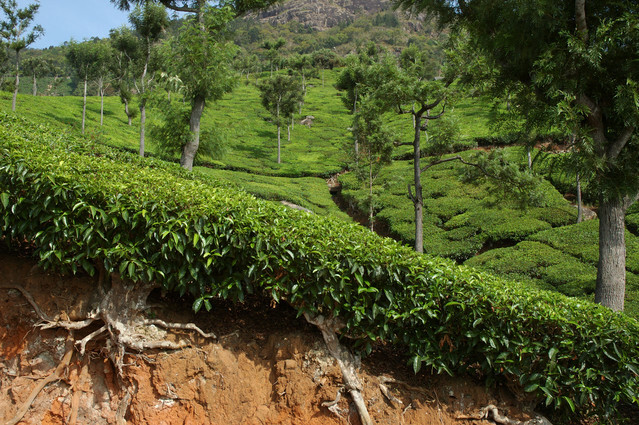 Tea was reported to be growing in Nigiri Hills in south India and was found similar to ones growing in Assam. Tea plant was found in Wynad and Travancore areas also. However, tea was made to grow on a commercial scale in south India only in 1854. The development of Kanan Devan Hills by James Finlay and Co. in 1878 with tea as an exclusive crop, is a landmark in the history of tea planting in this part of the country. Soon, tea cultivation caught up in Wayanad and by 1889 planting was taken up on a large scale in the district. In the Anamallais (Coimbatore Dist. ), the actual opening of tea estates was around 1897. Karnataka came into the tea map, rather recently. Today, India has 39,700 tea estates (32,000 in the south and 6,700 in north) and a tea-producing workforce of more than a million people. Little did the Singpo tribals know that the plant that was wildly growing in Assam would play a major role in the economy of India today with India being the largest producer of tea globally. Tea belongs to the family Camelliaceae and all the cultivated tea plants belong to two distinct species, viz., Camellia sinensis (L). 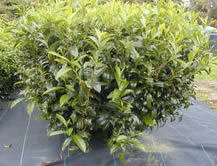 O. Kuntze, the short leaved 'China' plants and Camellia assamica (Masters) Wight, the broad leaved 'Assam' plants. The 'Cambod' variety, a subspecies of the latter, is named C. assamica lasiocalyx (Planchon exWatt) Wight. The 'China', 'Assam' and 'Cambod' and a large number of their hybrids are seen in many tea fields. It is believed that many wild species of tea have also contributed to the present day hybrid population of cultivated tea plants. The tea plant is an evergreen shrub or small tree that may reach 30 feet if unpruned. It is adapted to sub-tropical areas. The leaves are lanceolate, glabrous, but sometimes pubescent on lower surface, and 2 to 5 inches long. The harvested portions are the succulent short tips and young leaves. Including older leaves reduces the quality of the tea. Leaves are harvested at intervals of 2 weeks or less. Leaves are bright green, shiny, often with a hairy underside. The leaves are 4–15 cm long and 2–5 cm broad. Fresh leaves contain about 4% caffeine. 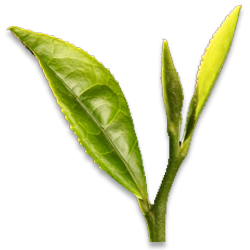 The young, light green leaves are preferably harvested for tea production; they have short white hairs on the underside. Older leaves are darker green. Flowers are scented and can occur singly or in clusters of 2 to 4. They are yellow-white, 2.5 – 4 cm in diameter, with 7 to 8 petals. 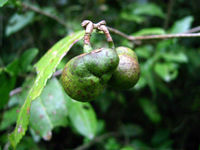 Fruits are brownish-green containing 1 to 4 spherical or flattened seeds. 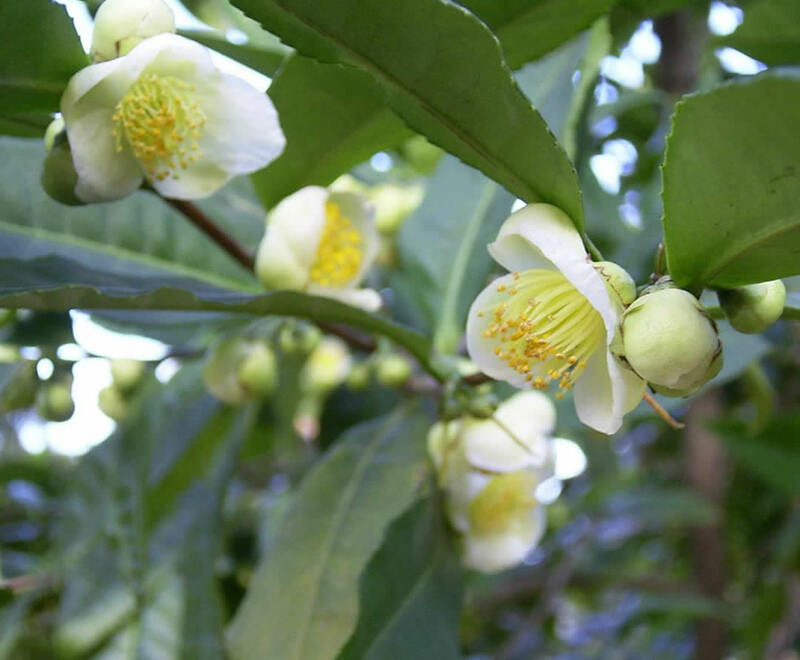 The seeds of Camellia sinensis can be pressed to yield tea oil, a sweetish seasoning and cooking oil that should not be confused with tea tree oil, an essential oil that is used for medical and cosmetical purposes and originates from the leaves of a different plant.